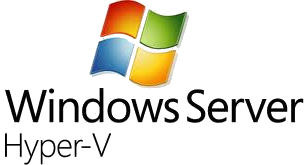 A few weeks ago Microsoft released Windows Server 2012 and with it also Hyper-V 3. The newest release of Hyper-V has some great improvements and new features which will in some cases definitely challenge VMware. 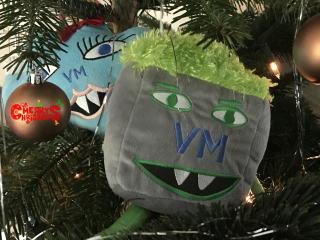 To make use of these features and to manage your entire environment you need a management tool, just like VMware vSphere uses vCenter Server. However at the time of writing, Hyper-V has no management tooling available. Normally System Center Virtual Machine Manager 2012 (which is part of the System Center 2012 suite) would be used to manage the Hyper-V infrastructure. But the current version of System Center can’t handle Windows Server 2012, meaning no management for Hyper-V 3 servers either. The support for Windows Server 2012 is coming with the release of SP1 for System Center 2012 which will probably be released somewhere at the end of Q4 2012 or Q1 2013. You can execute the basic management tasks of Windows Server 2012 Hyper-V using tools like Failover Cluster Manager but features like deployment of virtual machines using templates are only available in System Center Virtual Machine Manager (SCVMM). Public cloud, fabric management, provisioning and a lot of other features also need SCVMM 2012 SP1. But that’s not all, Data Protection Manager 2012 which is part of the System Center suite is not able to back-up of the new Windows Server 2012 Cluster Shared Volumes. The new CSV-format enables customers to make incremental backups of virtual disk files (VHD), much like the Changed Blocking Tracking feature of vSphere. 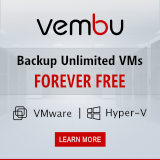 This allows to only backup changed data blocks of the VHD file since the last full backup. So customers wanting to make the full out of Windows server 2012 Hyper-V also have to wait till Microsoft releases SP1 for System Center 2012 Data Protection Manager. The System Center 2012 Community Technology Preview 2 (CTP2) for SP1, which is able to manage Windows Server 2012 Hyper-V, has been released in June. However this is a pre-beta version which is just not ready for production. Microsoft promised attendees at Microsoft Management Summit mid April 2o12 that they will release SC2012 SP1 at the same time as Windows Server 2012. If you want to build a private cloud now using System Center 2012 you can do so by using Windows Server 2008 R2 Hyper-V or VMware vSphere but mind your step though. You cannot update that Windows Server 2008 Hyper-V cluster to Windows Server 2012 Hyper-V, you will need to build an all new cluster. Personally I don’t agree with the way that Microsoft is marketing Hyper-V 3. Obviously they should market their product with the new features that are to be available, but they should be honest in when these will be available for use. Don’t go promoting that Hyper-V 3 is fully available with the release of Windows 2012, only to let companies find out that they can’t really use it yet until SP1 for System Center 2012 will be available. Marketing future products has become somewhat of a habit at Microsoft marketing over the years and the Windows Server 2012 hoax is no exception. Don’t believe the marketing hype, the Microsoft Private Cloud wasn’t ready then, and it isn’t ready now. For proven private, public, and hybrid cloud technologies that are in production today, trust VMware. While I agree with most of what you have writing, there is one statement I would say is not correct. “However at the time of writing, Hyper-V has no management tooling available.” < This is not totally true because you can use Hyper-V Manager which is available in features and roles. You can use this to do most of the basic stuff as you can with the default vCenter Server. I don't know what Microsoft was thinking with releasing Windows Server 2012 without System Center 2012 SP1 also being released! That was a big DUH!